On Thursday, May 28, Massachusetts College of Liberal Arts’ (MCLA) Gallery 51 will open “Two Natures Talking,” a text/image exhibition that pairs up visual artists Wilma Rifkin and Ellen Joffe-Halpern with poets Stephen Rifkin and Annie Raskin. The public is invited to join the artists and poets at a free, opening reception for this exhibition on Thursday, May 28, from 6 to 8 p.m. in MCLA Gallery 51. In addition, on Sunday, June 14, the Gallery will host a poetry reading with Stephen Rifkin and Raskin, from 2 to 3 p.m. This event also is free and open to the public. Artist Wilma Rifkin and poet Stephen Rifkin will present paintings and poems they created primarily as a result of their experiences from living for 20 years in the woods of Deer Isle, Maine. 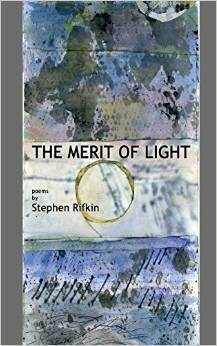 Stephen Rifkin’s collection of poems, “The Merit of Light,” was published in 2014. In sketching out her compositions, Joffe-Halpern shifts her vantage points of the same motif to describe a multiplicity of perspectives, while Raskin writes in a conversational tone about color and shifting perspectives, often creating a dialogue with the paintings. The exhibition’s artists and poets all reside within a 20-mile radius of the gallery. Although the Rifkins travel frequently, they make their home in North Adams. Joffe-Halpern, a resident of Williamstown, keeps a studio in Pittsfield at NUarts Studio on North Street. Raskin lives in North Bennington, Vt., where she writes. She also teaches literature at MCLA. “Two Natures Talking” will run through June 21. MCLA Gallery 51 is a program of MCLA’s Berkshire Cultural Resource Center. The Gallery is open seven days a week from 10 a.m. to 6 p.m. MCLA Gallery 51 is at 51 Main St. in North Adams.